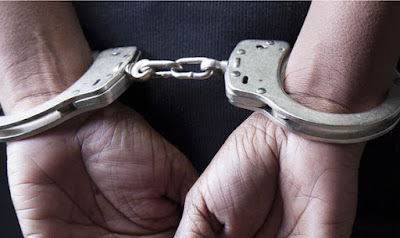 Kolkata: One Bandana Yangjon has been arrested from Kalimpong on Sunday in connection with the unrest that had brought the Hills to a standstill for almost three long months. Policemen from Kalimpong PS arrested Bandana from her residence on Sunday morning. Several houses were set on fire, properties damaged, government offices ransacked and buses were set ablaze during the indefinite bandh in the Hills. According to a police officer, complaints were then lodged with different police stations against a section of GJM leaders on charges of creating tension in the region. Sources said preliminary investigation revealed that she was involved in such activities during the bandh and she was subsequently arrested. After the bandh and tension for three long months in the Hills, the state government held several meetings with representatives of all political parties of the area and ensured restoration of peace in Darjeeling. Now, the police are vigilant enough to ensure that no untoward incident takes place in the Hills that may affect peace and create fresh trouble. It may be mentioned that Sub-Inspector Amitava Malik was killed during an encounter with bodyguards of Bimal Gurung when the police conducted a sudden raid in one of his hideouts in a bordering region of Bengal with Sikkim. Gurung is still at large and had been releasing his audio recordings from his hideouts. He had also claimed to be in Darjeeling on October 30. But later fresh statement was issued that it would not happen. However, the police are keeping a close watch. One Bandana Yangjon has been arrested from Kalimpong on Sunday in connection with the unrest that had brought the Hills to a standstill for almost three long months. Policemen from Kalimpong PS arrested Bandana from her residence on Sunday morning.